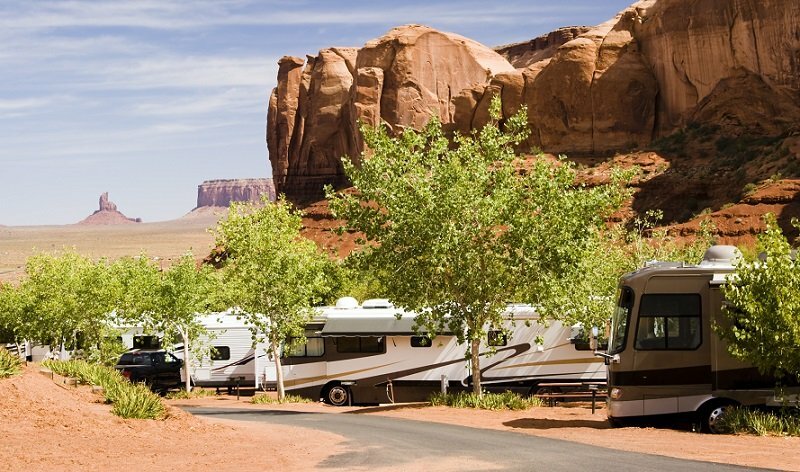 The RV lifestyle is not incompatible with certain comforts: traveling in a recreational vehicle or with a trailer, you don’t have to completely disconnect from the world. With an RV TV antenna, you can watch news and weather reports and enjoy your favorite programs. We have reviewed the best RV TV antennas and RV satellite dishes for you so you can stay informed and entertained while on the road. 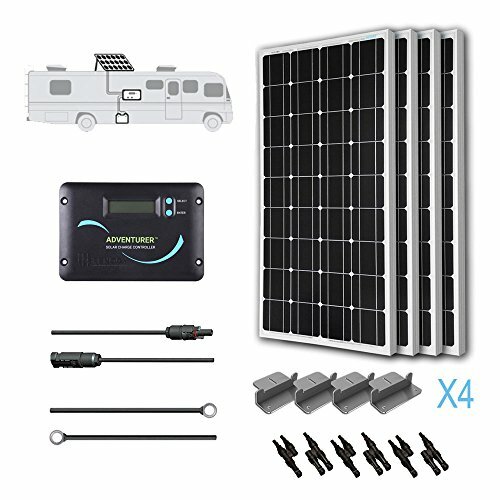 For more of my top gear recommendations, have a look through these popular Outside Pursuits guide links: RV Solar Panels & Kits, RV Deep Cycle Batteries, RV GPS Navigation Units. After our selection of the top rated RV TV antennas and satellite dishes, we’ll go into more detail regarding important features and how to pick the unit best-suited for your needs. The Winegard SK-1000 Trav’ler RV satellite dish TV antenna is a multi-satellite model that automatically connects to up to three satellites. You can hok up a maximum of three devices (TV or DVR) in your RV with the full programming choice. The model connects to the Dish network and acquires the satellites at 110°, 119° and 129°, while 61.5° is available manually. You can also acquire Bell TV satellites at 82° and 91°. Even if you travel in a group with different viewing needs, you can enjoy Dish TV in HD. You can add to your existing Dish satellite service or use their pay-as-you-go model where you only pay for the months you actually need. The Trav’ler antenna is engineered for a rigid and reliable roof mount and stationary use when you’re parked. With a stable base, you can enjoy uninterrupted signal acquisition and rest assured that the dish will withstand strong winds and adverse weather. The installation tolerates a roof slope of 5° without the need of leveling. Approved and certified reflectors provide a strong signal. The antenna stows to a travel height of 9.75”. Operation is easy: you power on the system and it will automatically locate desired satellites. Everything you need for installation and setup is included in the box, but you must have a programming package, a receiver, and a TV. A minor drawback is that the antenna is compatible with Dish Hopper but not with the Hopper 3 receiver. Other than that, the Winegard SK-1000 Trav’ler antenna is the best satellite TV for RV. The Winegard SK-SWM3 Trav’ler RV satellite TV antenna is the equivalent of the above model, only for DirecTV programming. It is one of the few RV DirecTV solutions available and features multi-satellite viewing of all three satellites at the same time for maximum viewing choice. Thanks to single wire multiswitch (SWM), you can feed a DVR or multiple receivers with just one line and the use of SWM splitters. The SK-SWM3 model acquires the KU- and KA-band satellites at 101°, 99° and 103°. With high quality reflectors and a stable roof mount base, you can rely on a strong signal. The antenna is meant for stationary use and roof installation only. A roof slope of 5° is tolerated without leveling. The stow height for travel is 9.75”. This model also features the Winegard one-button operation where all you need to do is power up the system to automatically locate all desired satellites. The RV satellite antenna is compatible with nearly all DirecTV receivers, including the Genie, HD and DVR receivers. The box includes everything you require for setup and installation, but you’ll need a TV, receiver, and DirecTV programming package. The Winegard SK-SWM3 Trav’ler is tough and sturdy, fully automatic and the best satellite dish for RVs for multi-programming on the DirecTV network. 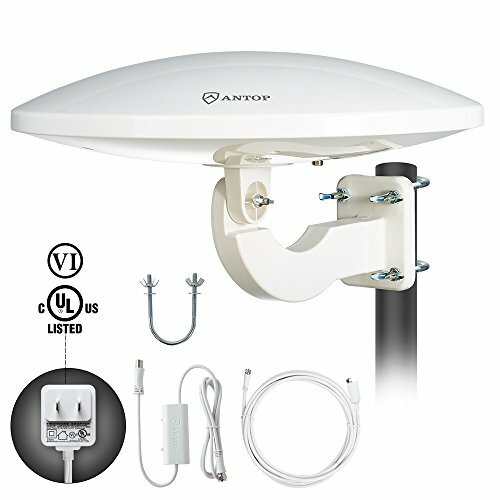 The Antop AT-414B outdoor HDTV antenna is the perfect choice if you don’t want to pay for a satellite subscription and receive free local TV channels instead. 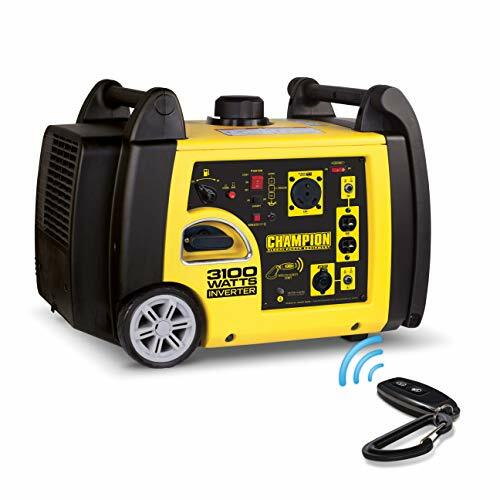 It features omni-directional signal reception, which makes it great for RV and trailer usage. It supports HDTV, 1080p TV and 4K Ultra-HD and is compatible with TV converter boxes or digital TVs. By splitting the signal, you can hook up multiple devices. The number of channels you’ll receive depends on the broadcasters within range and your distance to the station. The antenna has a reach of up to 65 miles thanks to smartpass amplification technology. 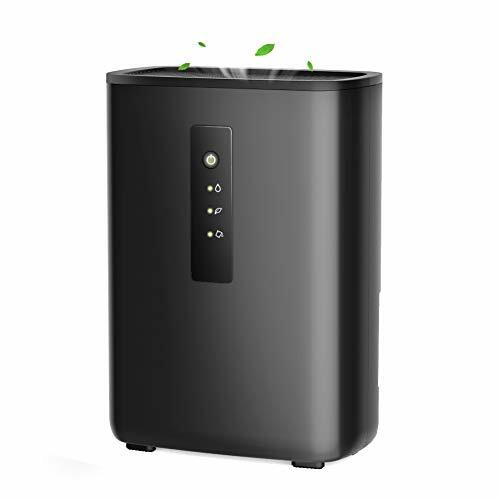 In addition, an integrated 4G LTE filter blocks interference. All you need to do is plug the unit into your TV and scan the channels. With omni-directional reception, you can use this model while driving, though you might encounter heavier interference and weaker signals that way. The RV TV antenna can yield great results even indoors, but for best reception, a high outdoor placement is optimal. The included kit is meant for a pole mount, so you might have to adapt and windproof it for your particular vehicle. The device features anti-UV coating and a waterproof/snowproof design. The Antop AT-414B RV antenna brings you best TV antenna for RVs while on the road at an incredible price. The Winegard RVW-395 Sensar HDTV antenna is one of your best optionsif you don’t want to pay for satellite TV and receive free local TV HD channels instead. The Winegard has omni-directional signal reception, which makes it ideal for RV and trailer usage. It supports HDTV, 1080p TV and 4K Ultra-HD and is compatible with TV converter boxes or digital TVs. By hooking up an optional splitter, you can hook up several TVs so everyone can watch a different show. Of course how many channels you’ll receive depends on the broadcasters that are in range of the antenna. The Winegard has a reach of up to 55 miles with its smartpass amplification technology. For best reception, a high outdoor placement is optimal. The included kit is meant for a roof mount on your RV, so you might have to adapt and windproof it for your particular vehicle. Fully raised it’s about 16 inches tall and is raised and lowered with a hand crank inside your RV. When it’s folded down it measures only 4 inches high. It features anti-UV coating and a waterproof/snowproof design. The Winegard RVW-395 Sensar brings you best TV antenna for RVs while on the road for a good price. The King VQ4100 Quest satellite TV antenna is an affordable option if you’re looking to take your DirecTV subscription on the road or want to use their pay-as-you-go model. The unit is lightweight and can be used portable, on a tripod or mounted on your RV roof; mounting feet are included. The antenna is powered over the included coaxial cable and is self-aiming: after connecting, it will automatically lock onto the satellite signal within minutes. The King Quest antenna works only with DirecTV SD programming (not HD) and is compatible with the following receivers: D10, D11 and D12 as well as H and HR receivers with a number lower than 25. The H25 and HR25 are not compatible. SWM (single wire multiswitch) only receivers require the SWM8 kit. To receive DISH and Bell TV programming with compatible receiver models, you’ll need the UC1000 controller. Out of the box, the antenna only acquires the satellite at 101°, but even with the controller added, it can only receive programming from one satellite at a time, in case you want to watch or record several things at the same time. The King VQ4100 Quest RV satellite antenna is a reasonably priced choice if you don’t require HD and want to take your DirecTV subscription on the road. It’s portable and doesn’t necessarily require a mount, allowing you to stay flexible in where and how you use it. The Winegard RT2000T RoadTrip T4 is a versatile RV satellite antenna that allows you to watch programming while you’re zooming down the road. It can acquire DirecTV SD programming as well as Dish and Bell TV in SD and HD. With two coax outputs, you can hook up two receivers at once or use a dual-tuner DVR. Once installed, operation is easy with automatic and fast satellite acquisition. The smooth, rounded dome is unobtrusive and available in black or white. The unit is lightweight and has a minimal footprint for straightforward roof installation. Thanks to the enhanced design, you’ll get a strong signal and fully automatic in-motion tracking. 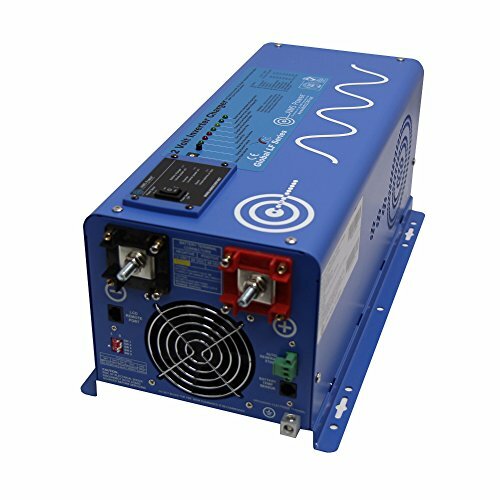 The motors are silent and quick for a speedy signal recovery and the model features noise reduction for less interference. The antenna points itself to the correct satellite when you change channels. In a dual output setup, you can only receive programming from one satellite at a time. The portable satellite dish is compatible with a wide range of receivers, but not with the Hopper and Joey Dish models or with the H25, HR34 or HR44 DirecTV receivers – all of these require the SWM-840 kit. It comes with coax and power cable as well as mounting feet. 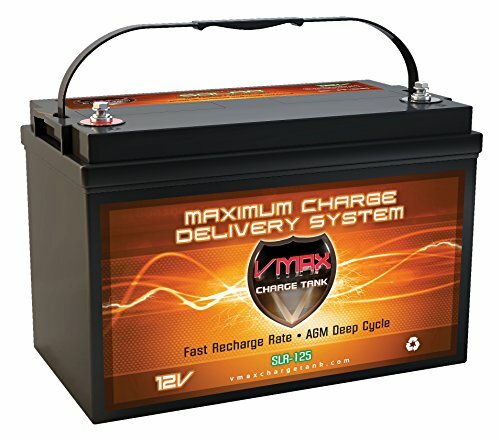 Apart from TV and receiver, you’ll need a programming package and a 12V power source. The Winegard RT2000T RoadTrip T4 is the perfect RV satellite dish for taking your existing subscription on your travels and watch programming while in motion. Receiving TV for free on the road doesn’t get much easier than the KING OA8500. With a compact, water- and snowproof design and anti-UV coating, you can expect a reliable signal from the best RV over the air antenna. It is a direction antenna that gives excellent reception and the SureLock signal finder makes finding the best signal fast & easy. Depending on where you’re on the road, you can receive programming while driving. You’ll pull in all the local stations within a range of up to 75 miles in full HD for any digital-ready TV. The RV TV antenna works in the VHF, UHF and FM spectrum and has a frequency range of 87.5 to 230 MHz and 470 to 700 MHz. The built-in amplification enhances the signal, but the model does not feature a filter to block unwanted frequencies for less interference. All you need for installation is included in the box, but if you want to connect multiple TVs or devices, you’ll have to get a signal splitter. Connected devices need a built-in tuner for over-the-air broadcast and need to be HD-ready. The KING OA8500 is best RV HDTV antenna that is fast and easy to install and delivers HD TV on the go at a great price. You’ll notice from our selection above that RV TV antennas vary greatly in price and features. In the following, we explain the most important aspects to help you make a decision that is right for your and your RV TV viewing needs. The best choice for your viewing needs will be based on what channels you want to pick up, where you want to mount the antenna on your vehicle, and when you’ll be using it. There are models for permanent installation or temporary placement, stationary use or while on the go. Subscribers of satellite TV can continue to use their existing service with some models, or you can consider pay-as-you-go. Maybe all you want is local TV stations. You basically have to decide if you want to receive free over-the-air TV from local broadcasting stations or if you want to connect to a satellite for premium subscription programming. If you’re already a subscriber at home, satellite TV might be your best choice as you can either bring your receiver with you or get an additional one at a low price. Pay attention that you get the right antenna for your service (Dish, DirecTV or Bell TV) and that you’re satellite dish and receiver are compatible. Additional hardware can help with compatibility or using one antenna for two services. In order to pick up local stations, you’ll need to be within range of a broadcasting tower, the closer the better. Weather, buildings, trees, or other signals can cause interference or weaken reception. The Winegard Trav’ler models are the most versatile satellite dishes and require the most difficult installation. For any type of antenna, a high and unobstructed placement will greatly improve reception. Satellite dishes need an unobstructed view of the sky, whereas with over-the-air TV antennas, you might also get acceptable results with a unit placed indoors. The fully covered half-dome satellite dishes are suited for portable use and can be placed on a tripod. If you want to make an OTA antenna portal, you can clamp it to a mast. A portable solution has the advantage that use isn’t necessarily limited to your RV: you can bring the unit anywhere to enjoy TV while camping or staying in a cabin or hotel. Satellite dishes are meant to stationary use as they need to acquire a satellite signal. The Winegard RT2000T RoadTrip T4 model is the only dish that can be used in-motion. OTA antennas will have reception while driving, but you might experience more interference that way. All models we reviewed can be used with more than one TV. However, your setup and possibilities will differ depending on the antenna model. The Winegard Trav’ler series can connect to 3 different satellites at the same time with a maximum of 3 connected receivers. All other satellite dishes can only acquire one satellite at a time. That means that even with multiple connected devices, available programming is limited to the current satellite. A satellite dish required one receiver per TV if you want to watch different channels at the same time. For multiple TVs connected to an OTA antenna, you need a signal splitter. Q: Can I watch TV while driving? A: That depends on the type of antenna and model you’re using. Satellite dishes are typically intended for stationary use as they require an immobile antenna. With every turn, you’d lose the satellite connection. 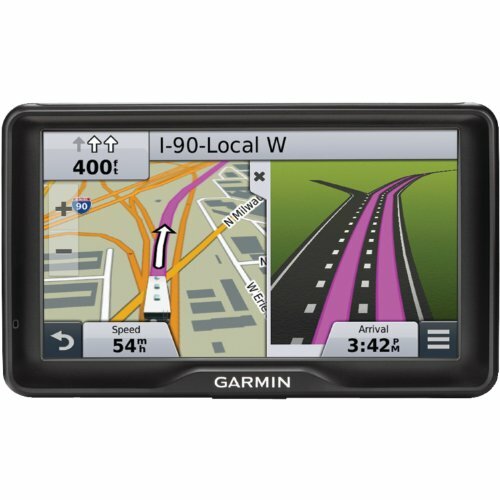 However, the Winegard RT2000T RoadTrip T4 model is intended for in-motion use as it features fast enough motors to quickly re-acquire a lost signal. 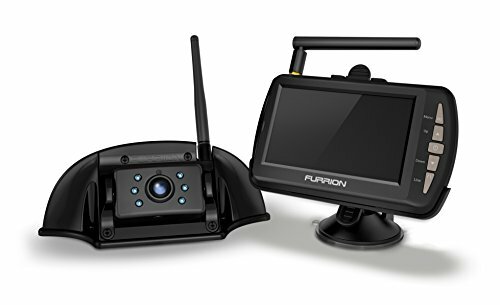 Over-the-air HDTV antennas can also be used while driving, but you might expect interference depending on surroundings and signal strength. If you’re not close enough to a broadcasting tower, you will have no reception. Q: Do I need a professional to install the antenna? A: If you’re confident with tools and know what you’re doing, installation is straightforward in all cases. The models we’ve reviewed all come with instructions and mounting options, with the exception of the portable Playmaker antenna. The lighter and fully covered units are easier to install. The Winegard Trav’ler models need sufficient room to operate and stow away and come with a sturdy base. The manufacturer recommends professional installation for these. In any case, if you fear damaging your RV, get a portable model or have someone do the setup for you. Q: Is it free TV, or do I need a subscription? A: Dish, DirecTV and Bell TV are pay satellite services and require a subscription. Dish has a pay-as-you-go model where you can choose your months of service. You can use an existing subscription for your RV satellite antenna, but additional fees might apply if you want to get another receiver. Make sure the receiver you plan on using is compatible with your RV antenna. Over-the-air antennas receive signals from local broadcasting towers for free. A: You will need a HD-ready TV. For over-the-air VHF/UHF antennas, you’ll need a TV with a built-in tuner to scan for channels. For satellite dishes, you need a compatible receiver. The necessary cables are typically included, but only for a single TV setup. Hooking up an additional TV or DVR requires additional cable and a signal splitter. Q: Do I need a power source? A: Again, this depends on the model. OTA antennas require a 12V power source and come with a power inserter. The smaller satellite dishes are powered over the coaxial cable, whereas the larger models come with a power supply interface box. Q: Can I use it outside of the US? A: Over-the-air antennas while receive all signals within their frequency range and display available channels when scanning. Subscription satellite service is typically limited to the US. Exceptions might apply to Canada and Mexico, depending on your location and provider, so you’ll need to inquire with your satellite service. As you can see, watching TV is a comfort you don’t have to forego in your RV or when traveling. It’s not a mere luxury, as receiving news and weather forecasts can be information vital to your trip. Use our guide to figure out which kind of antenna you need, then choose among the best RV TV antennas and enjoy your favorite programs wherever you are! I hope this guide was helpful for finding the best RV TV Antenna to fit your needs. If you want to comment or recommend an antenna I didn’t include, please use my contact form to get in touch. Hey Rod, Sorry not yet. I will post a review when I get a chance to take look at it.